Louisiana is one of the most sought after tourist destinations in the world. The streets of Louisiana feature a plethora of different cuisines that are a treat to enjoy. Apart from that, the Pelican State is incomplete without the mention of art and music. Featuring a multicultural history, Louisiana comprises of people coming from different places across the globe, including Africa, Vietnam, Caribbean, Spain, France, French Canada, and Haiti. Louisiana is a beautiful state situated in the south-eastern part of the US. 50% of the state is situated along the Gulf of Mexico, lined with numerous swamps, lakes, and alligators. Another 50% comprises of farmland and prairies. Being a treasure-trove of spectacular scenery and natural beauty, we have enlisted 5 places that you must not miss to visit while you are in Louisiana. Apply today and get your ESTA travel permit online. Located in Iberia Parish, Louisiana, Avery Island is a salt dome known to be the originating place of Tabasco (pepper) Sauce. The Marsh, McIlhenny and Avery families own this island for more than 180 years, and it is one of the five islands near the flash coastal marshes of south Louisiana. Around 2200 acres in size, the solid rock salt deposit on which the island rests is believed to be even deeper than the Mount Everest. While on the island, you will get a chance to witness some of the most unique subtropical flora, live oaks, Barbe espagnole, wild muscadine, Spanish moss, and others. Enlisted on the National Register of Historic Places, Avery Island has a small population, and a number of animal and plant species flourish here, including egrets, azaleas, Egyptian papyrus sedge, Japanese camellias, and others. Main attractions: Jungle Gardens, Bird City, Rip Van Winkle Garden, Tabasco food tours, Conrad rice museum. The Capital city of Louisiana, Baton Rouge is the second largest city in the state. There are several historical sites and museums located in the city, including the Magnolia Mound Plantation House, LSU Rural Life Museum, Baton Rouge Gallery and others. If you are visiting the state with your family and kids, then you can have some great time at the Blue Bayou, Baton Rouge Zoo and Dixie Landin’ in the city. Biggest swamp of the US, Atchafalaya Basin, is situated within a short distance from the city. Here, you can enjoy a lot of recreational activities. You will have a unique experience while visiting the former or working capitol building of the city. The former capitol building is turned into a museum now. Don’t forget to visit the USS Kidd, which is a retired Navy destroyer. The downtown area of the city is a residential place, and here you can find various entertainment and commercial hubs of the state and offers a number of restaurants, bars, hotels, and casinos. Main attractions: Old state capital, USS Kidd Veterans Memorial, Louisiana State University, Louisiana State Capitol, Magnolia Mound Plantation, LSU Rural Life Museum, Bluebonnet Swamp Nature Center, Baton Rouge Zoo, Shaw Center for the Arts, Louisiana Arts & Science Museum, Old Governor’s Mansion. Venice is one of the must-visit places in Louisiana. It is situated near the south-eastern tip of the state, just at the place where Mississippi River meets the Gulf of Mexico. Surrounding areas of Venice accommodate some of the most amazing wildlife, and a bird watching, eco, swamp or seaplane tour is worth taking while in the place. If you are fascinated with the paranormal, give a visit to the Ft. Jackson. It is a historical site which is not only beautiful but is also believed to be haunted. You will be allowed to enter the place only during the daytime, and you can witness some of the most spectacular fountains in these fort areas. Home of some of the greatest cuisines in the state, you will be amazed to visit restaurants in Venice and enjoy the authentic dishes of Louisiana. Don’t miss the Plaquemines Parish which is a 2400 sq mile area famous for its varied wildlife and historic attractions. 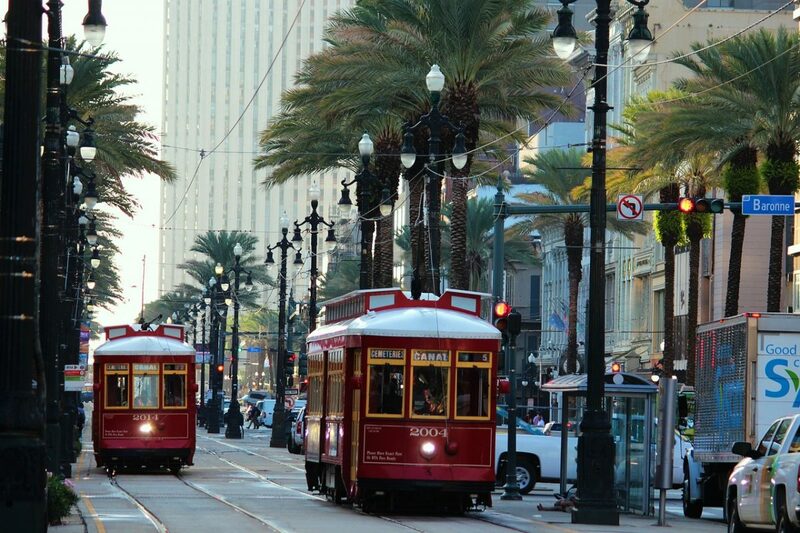 After being hit by Hurricane Katrina, the city has gone through extensive renovation worth admiring. Main attractions: San Zaccaria, Grand Canal, Venice Biennale, Cinema Multisala Rossini, Carnevale festival, Castello, Burano island, The Venice Lace Museum, The Rialto Food & Wine Tour. Check here if you are eligible for applying for ESTA travel authorization. Around 88kms from New Orleans, Houma comprises of 6500 sq. km. of swamps and wetlands. Also known as the Bayou Country of Louisiana, it is bordered by the Gulf of Mexico, rich in bayous and cypress trees covered with moss. Whether you are interested in experiencing a touch of Cajun culture or you want to get engulfed in the beauty of nature, you will find a perfect blend between nature and cultures in Houma. It is one of the 50 places across the globe offering GeoTours. While in Houma, you will get a chance to admire a vast variety of local plantations, Cajun hospitality, wetlands, swamps, and historical sites. You will also get a chance to get involved in a number of activities, including golfing, swimming and fishing. The town holds a number of notable festivals and events every year, including the world-famous Mardi Gras. Don’t miss visiting some restaurants and dance halls of the town to experience some authentic Cajun culture and traditions. Situated along the southern coastline of Louisiana, Grand Isle is a small town known as ‘sportsman paradise,’’, and it is also a place for world-class fishing and bird watching. While in the town, you can have some great beach time at white sandy beaches and visit the Butterfly Dome where you will witness a myriad of plants and native butterflies. From here, you can spot brown pelican which is the state bird of Louisiana. Apart from that, you can also spot around 100 different species of sandpipers, songbirds, tanagers, grosbeaks, herons, and others. If you want to try your hands at fishing, then visit one of the numerous fishing spots at Elmer’s Island Wildlife Refuge. While fishing, you will also get a chance to admire some of the most spectacular views of the Gulf of Mexico. Main attractions: Grand Isle State Park, Calmwater Charters, Fish Commander Private Day Charters, Pirate Island Daiquiri, Pure Pleasure Offshore Charter Fishing, Dream Catcher Guide Service. So, while you are planning a trip to Louisiana, you just can’t miss visiting these 5 places in the state. These places are bound to give you some bountiful experiences of the Cajun culture, along with some of the most mesmerizing views that nature can create.